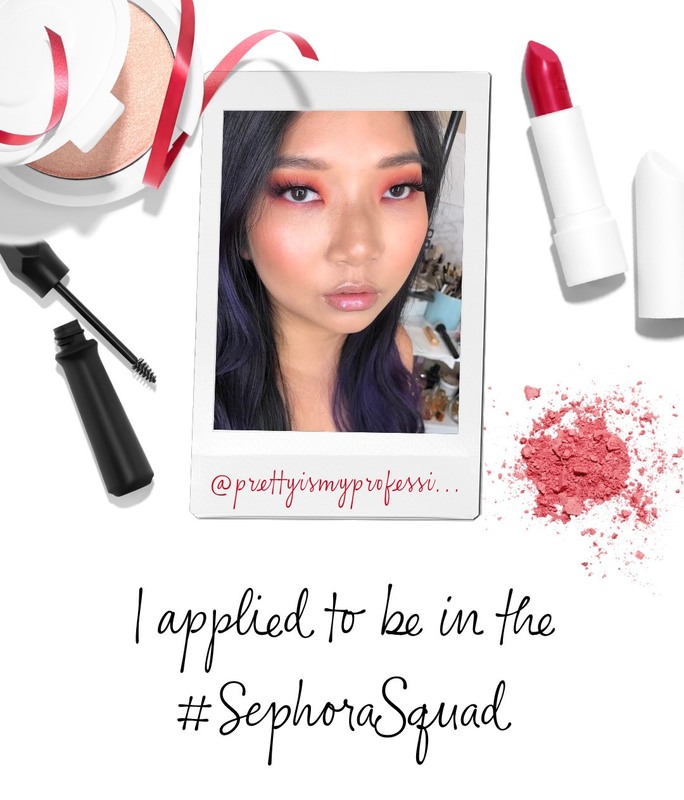 I am writing to you to plead for your help for securing a position in Sephora's new influencer program, the Sephora Squad. As many of you may or may not know, many of the reviews on here are funded by me and me alone. While I do receive the occasional PR package, to continue to keep up with the ever growing beauty industry, I often buy many of my own products to review for you. Being able to be a part of this program will hopefully allow me early access to products and hopefully cut some of the expenses that go into maintaining up-to-date content for you. Something that I have always admired about the beauty community is the never-ending support and positive attitude of all the individuals. It is the reason I continue to push to create content and stay active in the community despite my very busy schedule. It probably doesn't surprise many of you to know that I do work a full-time job, which is how I am able to support this blog and continue to stay up-to-date with the latest products and trends. It has been a joy getting to know so many people in this community and I always appreciate you continuing to support and read this blog. I have put so much of my heart and soul into it and I appreciate you taking the time to visit. For that, I am truly thankful and will continue to bring out more content. Regardless of whether I get into this program or not, I promise to continue to be honest in all my reviews and never push a product that I don't use and support myself. Being a part of this beauty community has brought be more joy than you can imagine and sharing my thoughts, my art, and my passion with all of you is all I want to do. I wish I had more time in the day to do so. I just want to say thank you to all those who have supported me over the years and to those who have just stumbled upon my blog. It is because of all of you that I find so much joy dedicating my spare time to blogging. Thank you to all of you who have or will fill out a testimonial for me! I appreciate it so much and I'm looking forward to sharing more exciting new beauty with all of you! I left one! Much luck!!! Happy Valentines Day! Thank you so much, Lisa! I really appreciate it! ❤️ Happy Valentine’s Day!